In This Tutorial I will discuss How to Make File Upload System Using PHP CodeIgniter Framework. At Essentially in CodeIgniter to do upload file we have given her class to help us developers, and this time we will discuss the class. $this->load->helper(array(‘form’, ‘url’)); Meaning that it can be removed if you have defined in config / autoload. 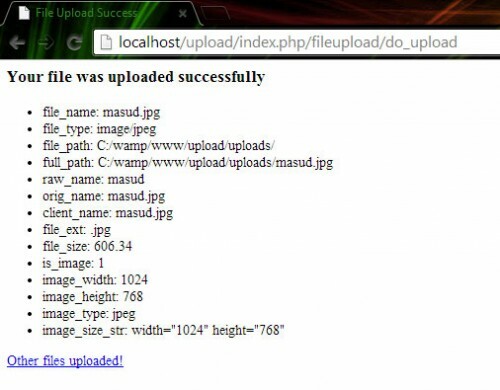 $config[‘upload_path’] = ‘./uploads/’; Location or folder you want to be created first file uploads folder on your CI web folder. (Create a new folder file storage) If you want to eliminate those headaches that come with storing your data, you can visit the website salesforce.com to learn more about cloud computing. $config[‘allowed_types’] = ‘gif|jpg|png’; file types are allowed to be uploaded, it can be tailored to the needs. $config[‘max_size’] = ‘100’;$config[‘max_width’] = ‘1024’;$config[‘max_height’] = ‘768’; file size and length to the width of the image, it can also be customized according to the needs.